Serendipity Publishing House, 9780692859896, 202pp. WHAT IF YOU WERE GIVEN A SECOND CHANCE AT LIFE AND LOVE? IRELAND, 1912 As the RMS Titanic prepares to set sail on its maiden voyage across the Atlantic, twenty-five year old steerage passenger, Bridget McAdams is eager to begin a new life in America. George Baxter, a twenty-three year old member of Titanic's crew, is excited to be sailing aboard the extraordinary ship. When disaster strikes, their pathways irrevocably cross as they become two of the few souls who survive and are rescued by the RMS Carpathia. Once in New York, powerful feelings that have developed between them must be set aside so they can go on with the life they had sworn to live when they first boarded the great vessel. CALIFORNIA, 2012 As the world commemorates the Centennial Anniversary of the sinking of the RMS Titanic, disillusioned twenty-five year old aspiring journalist, Lily Taylor leaves Los Angeles, California for Coronado Island seeking a fresh start. 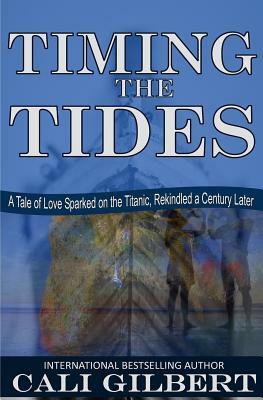 It is there where she comes across an old shipwreck and meets David James, a twenty-three year old Ocean Lifeguard who shares a similar reoccurring dream about the sinking of Titanic. Through a series of mysterious incidents, they are led to experience a considerable and profound soul metamorphosis.